Gatlor wheeled his horse toward Bodann’s army and charged forward, the Haven forces right behind him. An instant later, the enemy began their own roaring, hissing charge. He watched the enemy ranks spread out, as the leading creatures opened space between them and the ones behind. When they were within three hundred paces of each other, he looked over his shoulder. Kalen sent a flare of yellow dimsai skyward. The Haven fighters halted their charge. Across the front of the Haven army, Topaz saiken ran forward and created scorching winds, blowing dust and grit into the faces of the advancing creatures. Gatlor knew this would be countered by the opposing saiken, but he only needed a few moments. Two hundred archers ran out and sent arrow after arrow high into the air. The Trellin, Manarachs, and other creatures would not see their death approaching as they shielded their eyes from the dirt-laden wind. The front of the enemy army fell into disarray as the arrows fell among them. Bodann’s saiken responded quickly, sending up a shield overhead to protect the fighters from the falling arrows, which flared into ash as they hit the shield. When he saw that the arrows had been countered, he turned and signaled. Reyga raised his staff and sent a green flare of power into the air. Delani nodded, then looked to the sky, her face taking on a distant expression as she linked her mind to the hawk flying far overhead. Bothan watched the clouds of dirt and grit envelope the front of his army. He sent a mental command urging his fighters forward. Peering through the haze of dirt, he could just make out figures rushing forward from the Haven army. Then a cloud of another kind soared up over the dust and arced toward the leading edge of his army. The front ranks wavered, as scores of fighters stumbled or fell under the attack. Then he saw flashes of light as a shield sprang up over his forces. His attention jerked back toward the battlefield as a new roar went up from his forces. Jason watched the arrows flash into nothingness against the shield. Then a green flare of dimsai soared into the sky. He knew what was coming next. He concentrated intently and a rainbow of auras appeared across the battlefield. On the hillside opposite where he stood, he saw a sickly glow like a diseased star. That must be Bothan. To the right of Bothan’s army, Jason saw what looked like fog as a mass of disembodied auras approached the enemy fighters. He heard a roar rise up as the concealed Shanthi carved into their ranks. Scores, and then hundreds, of the enemy fell against the invisible onslaught of the Shanthi warriors. He remembered the look on Lenai’s face when the Trellin had attacked them. He shuddered to think what it would be like to face an army of warriors like that. But for all the damage the Shanthi were doing, it was still just at the fringe of the massive force. Their attack was taking its toll, but it would take much longer to do any significant damage. It was just a matter of time before the enemy came up with a way to counter the tactic. Then it happened. He saw Manarachs forcing their way toward the perimeter of the army, shoving other fighters aside. When the creatures reached the edge, they began throwing silken threads and nets into the empty air. As they descended, some of the threads caught on invisible bodies. The Manarachs and Trellin furiously attacked the Shanthi entangled in the webbing. More were caught as the Manarachs cast their silk again and again. As the Shanthi died, their broken and slashed bodies became visible in the grit of the battlefield. He was vaguely aware of a pain in his jaw as he clenched his teeth. “Get out of there,” he whispered. He pounded his fist against his leg in frustration at his own helplessness, and wondered if Lenai was one of the Shanthi in the attack. Then another green flare lit up the sky, and he saw the fog begin moving away from Bothan’s army. They were calling the fighters back. The relief he felt was short-lived. Once they realized their nets weren’t catching anything, Trellin and Manarachs poured after the retreating forces. Without warning, great sections of earth collapsed and vanished into a chasm in front of the retreating Shanthi. The fighters changed direction, moving parallel to the abyss as they ran. This allowed the enemy pursuit to close the gap between them and the Shanthi. More silken threads flew out, and more Shanthi bodies appeared on the ground. Moments later, a column of horsemen charged out from the Haven ranks toward the fleeing Shanthi, a bright red star leading the way. That must be Brin. As the horsemen charged around the flank of Bothan’s forces, the main section of the Haven army surged forward. It was too much for him to take. His heart pounded in his chest and his thoughts were an incoherent jumble. Then one thought stood out clearly: If he really did have power, he needed it now. He looked skyward and raged at the heavens. “NYALA! !” Then his eyes went wide as a flood of memories washed everything else from his mind. Brin watched Delani as she monitored the attack through the eyes of her hawk. At the first sign of trouble, he and his saiken would lead the mounted warriors to the aid of the Shanthi. His desire for vengeance and retribution warred with his self-control as he waited. “The Shanthi are attacking, and many of the enemy are falling,” Delani said. Brin looked at Bodann’s army. Their advance had slowed as they looked toward the commotion behind them. Reyga nodded and sent a green flare of dimsai into the sky. Brin nodded and kicked his horse into motion. “Ruby saiken, mounted warriors, to me!” he shouted as he rode across the front of the army. Within moments, they thundered around the far end of the southernmost pit. Up ahead, he could sense a concealed pit to the right, with the open chasm to the left, leaving a narrow strip of solid ground in between. They charged toward the ribbon of ground to keep the enemy from attacking before they could flank them. “Ride along the edges,” he told his students, “so that the riders behind can see the safe way. If you can, collapse the weakened earth so that the pit can be avoided by others.” When they nodded he pulled his horse to the side and slowed. After the last of the riders had passed, he fell in behind. A subterranean rumble told him his students were triggering the trap. He saw dust rising from the earth to the right side of the column of riders, and then the ground crumbled away, leaving a deep ravine. The riders at that side of the column fought to keep their mounts under control as the horses shied away from the chasm that suddenly appeared beside them. Ahead to his left, he could see the enemy chasing the invisible Shanthi. He saw dust rising from the ground, but could not tell if it was due to unseen feet or the shaking earth. He hoped the pit between them and the Shanthi ended soon so they could turn and aid the retreat. Then the creatures noticed the riders and altered their course toward them. He nodded to himself. Better to chase a foe that can be seen than one that cannot. At least if they were coming after the horsemen, the Shanthi could make their escape. Now it was just a matter of where the fissure between the two forces ended that would determine the next move. Shouts from in front of him grabbed his attention. He had to rein in sharply to keep from running into the horses ahead of him that were sliding and skidding to a stop. Thirty paces ahead, a horse reared, its rider frantically trying to bring it under control. Because of the suddenly crowded conditions, the horse came down on the back of another, causing that one to jump. The first horse reared again, and fell backward into two other horses behind it. Before Brin could do anything, all three horses and riders plunged into the yawning gulf. “What happened?” he shouted. “Why have we stopped?” He looked toward the front of the column of riders and saw the group milling around uncertainly. Meanwhile, the leading creatures from Bodann’s army had reached the edge of the crevice. It would only be a matter of moments before they started sending arrows or blasts of dimsai into the midst of the riders. He carefully urged his horse forward through the mass. The soldiers moved aside as best they could. Glancing to his left, he saw that more and more of Bodann’s creatures were lining the chasm, hissing and grunting as they looked for a way to get at the Haven fighters. He saw the reason for their halt before he reached the front of the column. The crevices to either side had curved away and then toward each other to join at the front. The ground they stood on was an island in an ocean of emptiness. All that joined this platform to solid ground was the narrow stone bridge they had ridden across. He gritted his teeth in frustration. They would have to go back. He hoped their distraction had been enough to allow the Shanthi to escape. He turned his horse around and saw that going back was no longer an option. The creatures had reached the entrance to the spit of land and were now blocking it. He watched as they advanced toward the trapped riders while more gathered behind them. He heard a cry from his right. One of the riders, caught by a line of trapsilk cast across the chasm, was desperately trying to keep from being pulled over the edge. Brin blasted the Manarach with a bolt of dimsai, then sent two more blasts in rapid succession toward the rock just below the opposite edge. As the power exploded against the rock, it crumbled away carrying several Trellin with it. He forced his horse around once more. A blast sent splinters of rock into the air as one of the enemy saiken returned Brin’s greeting. The edge underneath two of the horsemen began to crumble. He used his power to shore up the rock long enough for the riders to move their mounts. They had to hurry. He saw some of Bodann’s forces running for the other side, where the Haven fighters would not be shielded, and the creatures advancing up the causeway were getting closer by the second. He had a plan, but he needed to be sure the riders and saiken were safe first. “Riders! Hurry through the portal!” He looked back as he heard Beryk shouting. Beryk and Sara stood at the edge of the platform. The portal hung in space two paces off the edge of the rock. There had not been enough room to place it on solid ground because of the press of horses. The riders would have to jump the gap to reach it. As he watched, the first rider went through, while more moved into position. “Loremaster Brin, why do we not fight?” one of the warriors asked him. “We are at too great a disadvantage here,” he answered. “Our purpose was to draw the enemy’s attention away from the Shanthi, and we have accomplished that. However, we are now beset on two sides, and will no doubt soon be surrounded. We can aid our cause more by escaping this trap through the portal, and then returning to fight again.” He did not mention that he fully intended to strike a blow once the riders were safe. The ground trembled as he finished, followed by the sound of an explosion from the chasm. He jumped off his horse and looked over the edge. Grithor saiken were attacking the base of the rock, obviously intent on collapsing it before they could escape. 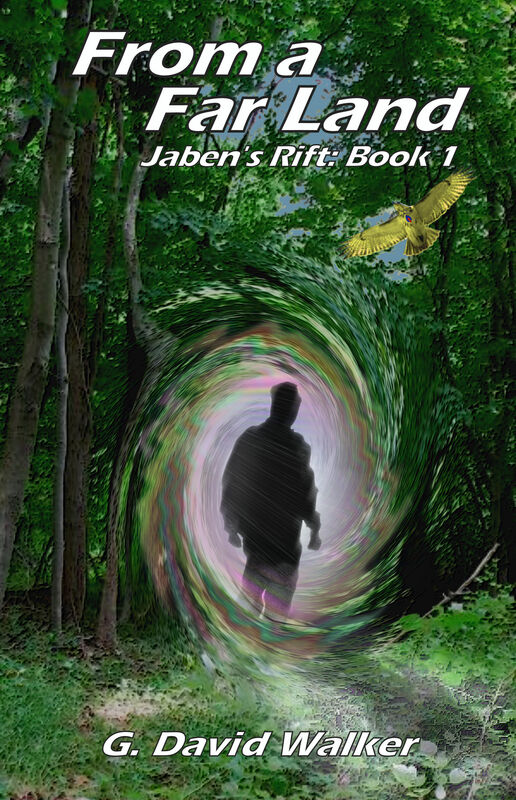 Brin focused his power into a brilliantly glowing sphere and sent it down into the shadows. The Grithor shielded their eyes, retreating back into tunnels in the opposite wall. He looked up at the creatures approaching along the narrow bridge of land. They had apparently noticed their prey escaping, and were advancing more rapidly. He sent a bolt of power toward them and watched as his attack sent several into the abyss to either side. He looked back toward the portal. The horses were moving more quickly as space opened up where they could maneuver. A concussion filled the air as one of the enemy saiken attacked the shield. He looked at Tam and Keryn. Both were breathing heavily as the strain of maintaining the shield took its toll on them. He hoped they could last long enough, but more saiken were beginning to attack. Another tremor shook the ground. He looked into the crevice and saw that his dimsai orb had failed. The Grithor saiken were attacking the base of the rock once again. He sent another brilliant crimson orb into the depths, and then threw two more blasts at the approaching creatures. His first volley sent more over the edge, but the second detonated against a shield that appeared in front of the approaching mass. He looked back toward the portal. Just a score of riders remained. Tam and Keryn were clearly at the end of their endurance. He waved at a rider who was looking toward the creatures on the bridge. “You. Get another rider and take the shield saiken with you,” he said. The man nodded and called to another warrior. A blast threw Brin to the ground as a saiken on the bridge attacked. He threw a shield up just in time to catch the next bolt. Looking over his shoulder, he saw the horsemen in place beside Tam and Keryn. Instantly the shield disappeared. The two riders hauled the exhausted saiken across their mounts and sprinted for the portal, just making it through as arrows began streaking after them. Brin climbed to his feet and sent another flare of power toward the force on the bridge. “Sara! Beryk! Go back to the Haven!” he shouted. “Not without you!” Beryk yelled back. Sara and Beryk looked at each other and then moved to get a run for the leap. Sara started first and then staggered as an arrow pierced the back of her thigh. Brin knew she would not make the jump. Beryk ran to catch her. He did not slow as he wrapped his arm around her waist and leaped with all of his strength for the portal, which winked out of existence as they passed through. Now, he thought, facing the creatures coming toward him, now Cale will be avenged! With a cry from the depths of his soul, he raised his hands. A scarlet corona of power erupted around him. All of the grief, fury, and outrage he had been holding inside since learning of the death of his son now poured forth in a paroxysm of vengeance and retribution. Arrows intended to pierce his body disintegrated as his power consumed them. He sent a barrage of dimsai across the chasm, the volleys exploding just underneath the ledge or blasting through the crowded mass of bodies. As he threw bolt after bolt, he watched the creatures approaching on the narrow ridge of stone. He needed them closer. A tremor tickled the bottom of his feet. The Grithor had returned and were once again attacking the base of the platform. The fighters on the bridge saw that he was alone and surged forward. When they were ten paces from the platform, he threw out his hand, casting a shield across the end of the bridge. As had happened with the horses, the creatures in the back did not realize their charge had been stopped until they found themselves pressed up against the leaders. 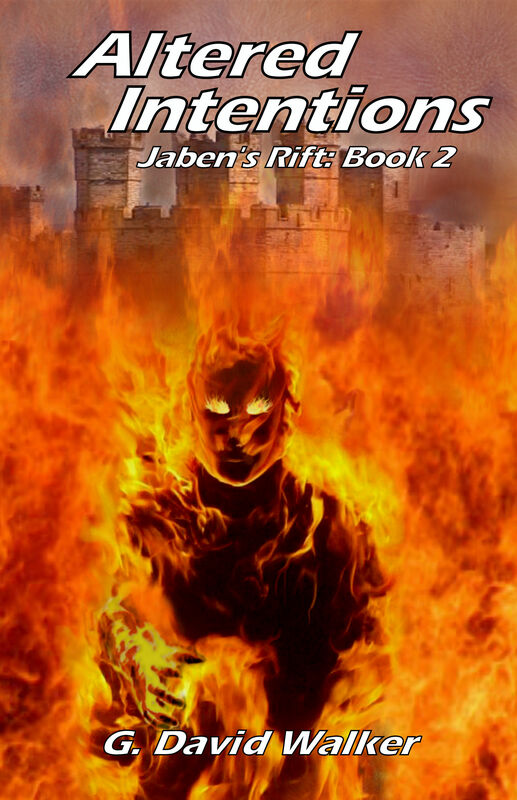 The smell of burning flesh filled the air as the leading bodies pressed against his shield. With his other hand, he gave free reign to his fury, continuing to throw power across the abyss. Sweat stung his eyes and his breath was labored, but he did not, would not, stop. In a few moments, several hundred of the enemy crowded the bridge, unable to move forward while his shield held. When he was certain no more could fit onto the bridge, he turned his full attention to them. He brought back up the emotions that had threatened to overwhelm him in the Circle chamber; dredged up the indignation he had felt during the Shadow Lord’s visit. He poured all of his outrage, all of his pain, into one massive surge of power and focused it on the bridge. His senses sought out weaknesses in the stone, and he sent his power to attack those points. Fractures appeared. Cracks streaked through the base of the bridge. When the creatures on the bridge realized what he was going to do, they tried desperately to reverse their course. As they pushed and jostled to escape, some fell tumbling into the shadows below. Shouting Cale’s name, he pulled more power from within. With a groan of tortured stone, the bridge collapsed, carrying all of the enemy unable to make it back to solid ground plummeting into the darkness. The platform, now deprived of the support from the bridge, shuddered underneath his feet. He could feel it beginning to sway, and the Grithor’s attacks came constantly. He had known this would happen. As he felt the platform begin its fall, he threw a few more bolts of power into the enemy. Then, his mind filled with thoughts of his son, he ran for the edge and leaped out into empty space. They started small, with Nyala trying to teach him how to create a ball of power as she had done. Over and over he tried. Time and time again he failed. “Keep trying, Jason,” she said. After hearing it for what seemed like the hundredth time, he lost his temper. “I am trying!” he snapped, and then gasped as a sparkling sphere appeared, floating over his open palm. Six months they had been in the past. Jason practiced for hours every day. He learned quickly. Even Nyala had been surprised at his progress. With her help and guidance, he learned in months what took other students years. She taught him how to move objects and how to reshape them. She taught him how use his power to see the strengths and weaknesses of the things around him. He’d learned that arguing with her was pointless. “Fine,” he said. He looked around the clearing. Blasted trees and rocks surrounded them from his battle practice. “Wait, I missed one,” he said as he spotted an unblemished tree. He sent a bolt of power crashing into the trunk. A bird’s scream startled him. He looked up to see a fortunewing launch from the branches above as the tree shuddered. The bird was clearly agitated, trying to get back into the waving limbs and leaves. He sent his senses searching through the branches. There was a nest halfway up the tree. As he focused, he saw an egg teetering on the edge of the nest, bounced there by the shaking limb. Then it rolled off, plummeting toward the ground. He reached out with his power and caught the egg before it hit any of the branches. In the grip of the dimsai, the egg began to crack. He could tell the chick inside was too young to survive if it hatched now. But the egg was already cracking open. He didn’t think, just sent his power into the chick, encouraging its growth. Within seconds, a fully grown fortunewing appeared, shaking bits of eggshell off its feathers as he set it gently on a branch. Then his eyes went wide as he turned to Nyala. Jason blinked dust from his dry eyes as the memories came to an end. He looked to the skies. Crin! “Jason! You remember me!” A surge of joy accompanied Crin’s answer. Jason grinned. Yes, I remember you, and I will never forget you again. He looked toward the battlefield. There was something different about it. Besides the dimsai auras, there were hundreds of thin lines, almost like a ghostly mesh blanketing the armies. Movement at the base of his vision caught his attention. Looking down, he saw an ethereal thread extending skyward from his chest. Following it with his senses, he discovered that it led to where Crin circled high above. “Jason, are you well?” Seryn laid a hand on his shoulder. In answer, he turned and created a small orb of iridescent light. “I’ve remembered my power,” he said. Like the reflections from the globe of light, he saw hope and anticipation begin sparkling in her eyes. “I have to get to Bothan,” he said. Then he turned and sprinted toward the battle, using his power to speed his way. As he descended the hillside, he saw a bright green star in the midst of the battle. Reyga. He ran toward the Loremaster. At the edge of the battle, he stopped and focused his power on the nearest Trellin, trying to break the connection between it and Bothan. The creature started toward him, and then hesitated as the thread vanished. It shook its head, and then turned and attacked a nearby Manarach. He nodded in satisfaction, then focused his power again. More of the threads vanished, but only those that were closest to him. The creatures began fighting whatever happened to be the closest target. After a few moments, the threads re-established themselves. The creatures were once again under Bothan’s control. He would have to get to Bothan. If he could cut all of the threads at once, they might have a chance. But he wanted Reyga with him. Using his power to blast a way, he ran toward the emerald star. 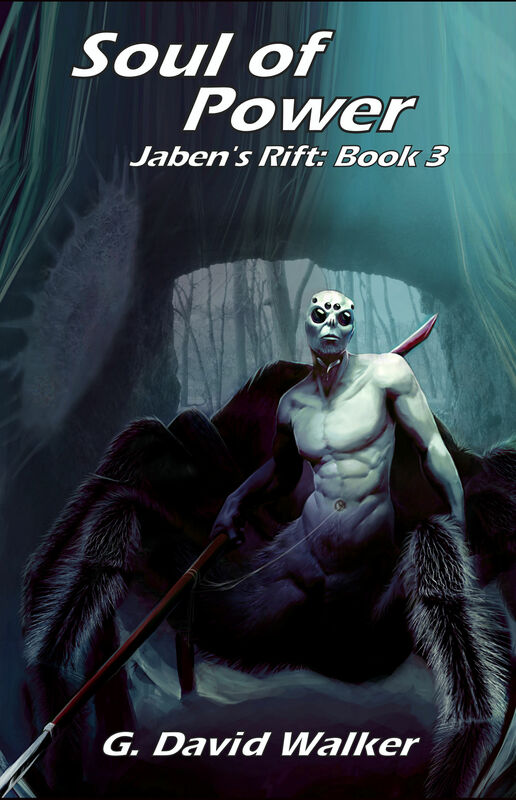 Posted on June 11, 2017 June 14, 2017 by Dave WalkerPosted in Jaben's RiftTagged Fantasy, Jaben's Rift.